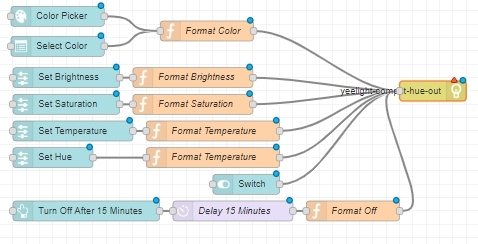 We will learn how to integrate Xiaomi Mijia Bedside Lamp with Node-RED on Raspberry PI 3 model B board. 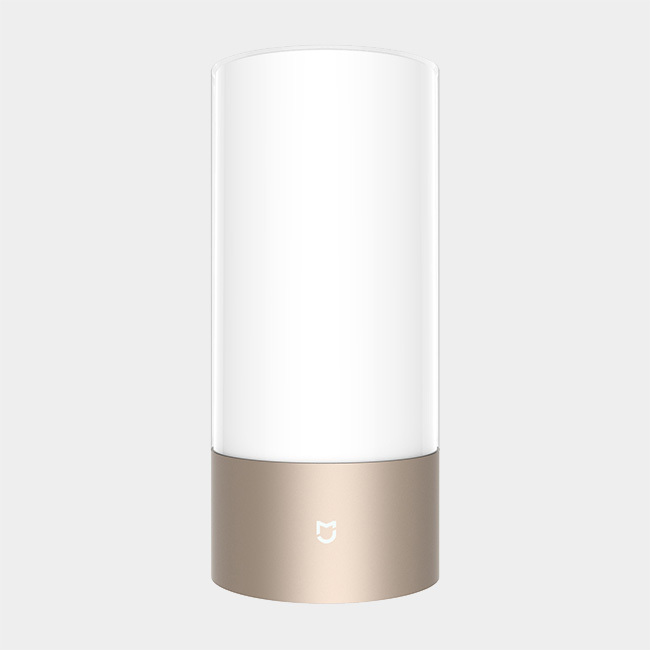 Xiaomi Mijia Bedside Lamp can be controlled with touch, using the Yeelight app or using an home automation platform like Node-RED. 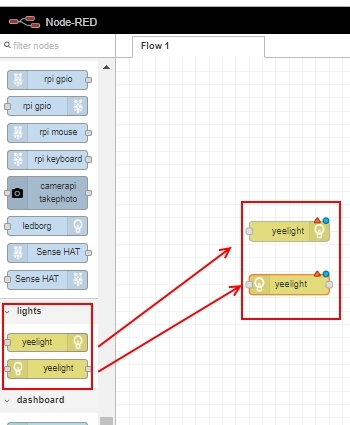 We will make a web application with Node-RED and Raspberry Pi to control the Xiaomi Mijia Bedside Lamp. 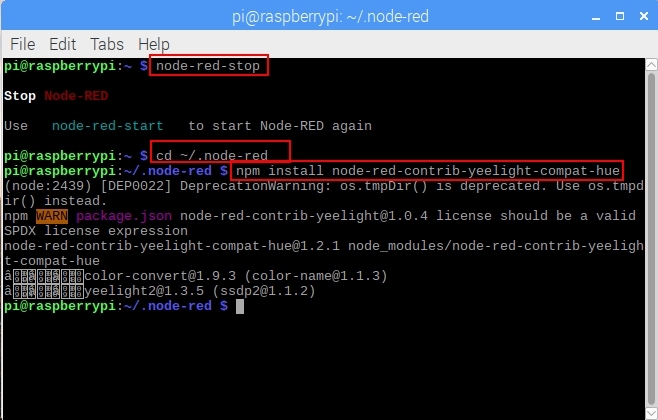 You need Node-RED installed on your Raspberry PI 3 and Node-RED Dashboard. 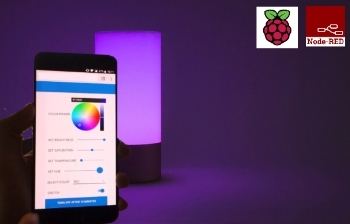 You can set a 15 minute timer – this will turn off the lamp after 15 minutes. 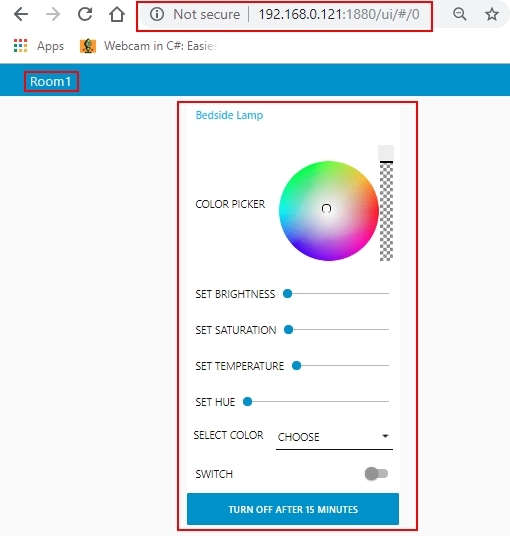 We can set a 15 minute timer and it will turn off the lamp after 15 minutes. 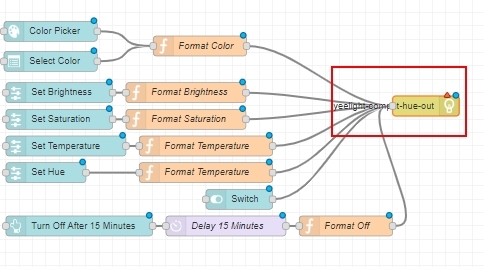 Touch control design: simple touch to adjust brightness / change color / delay switch off / switch light mode as you needed. Scan the QR code at the end of English user manual to download App. 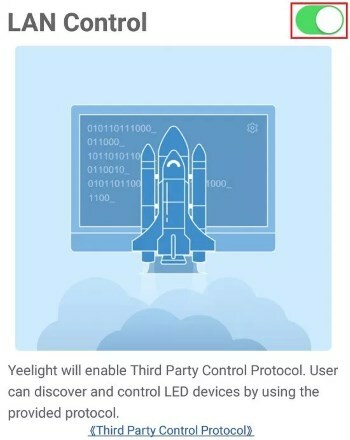 You can read more about Yeelight app here. 2. 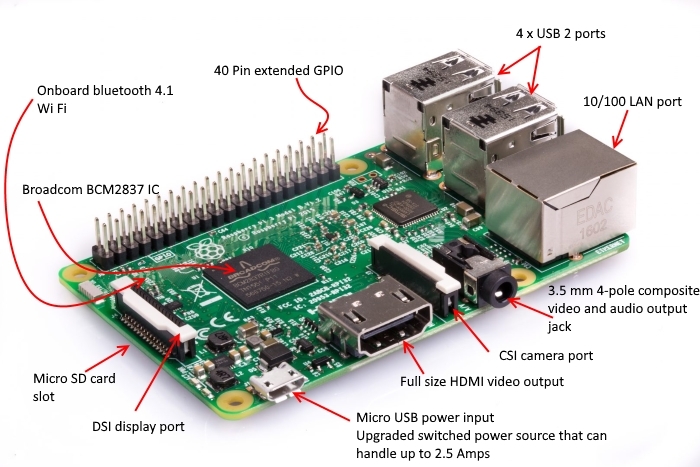 Install Node-RED and Node-RED Dashboard on your Raspberry PI 3. 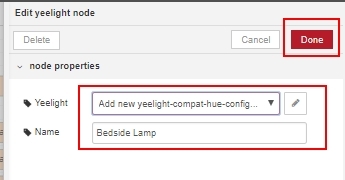 When the Xiaomi Mijia Bedside Lamp connected to our router, we go to your Yeelight app and enable the LAN Control. 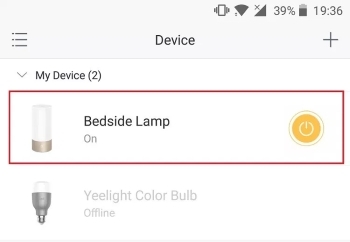 Select the Xiaomi Mijia Bedside Lamp. 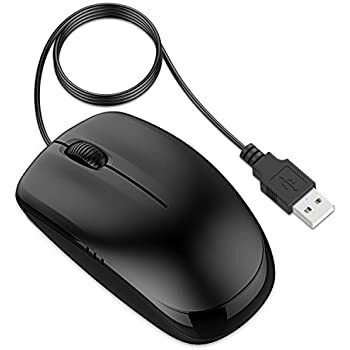 Open the bottom right menu and choose the LAN Control option. 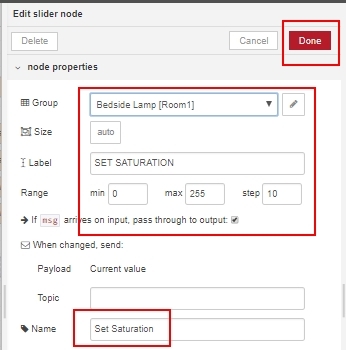 You are ready for next step as your Node-RED flow can interact with the Xiaomi Mijia Bedside Lamp now. 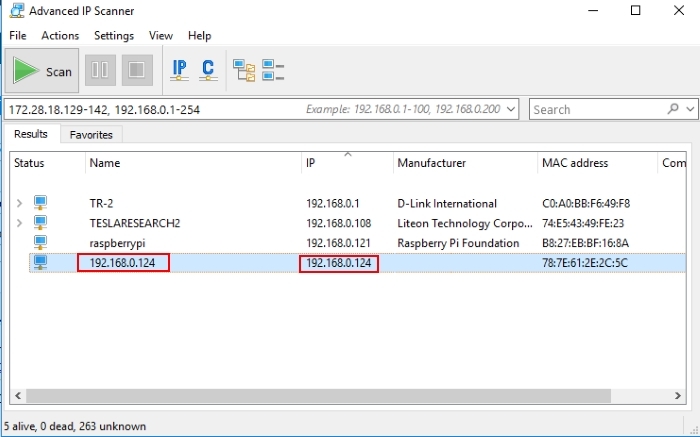 Type this command to find out your IP address: hostname -I In our case it is 192.168.0.121. 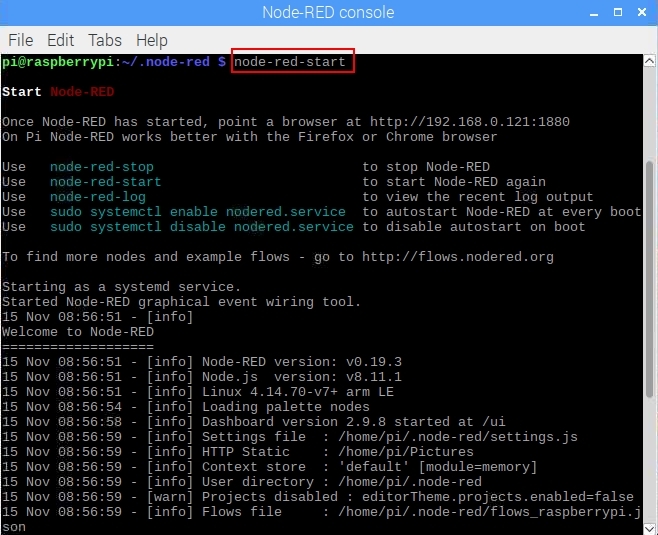 To access Node-RED go to any Web browser on your PC. 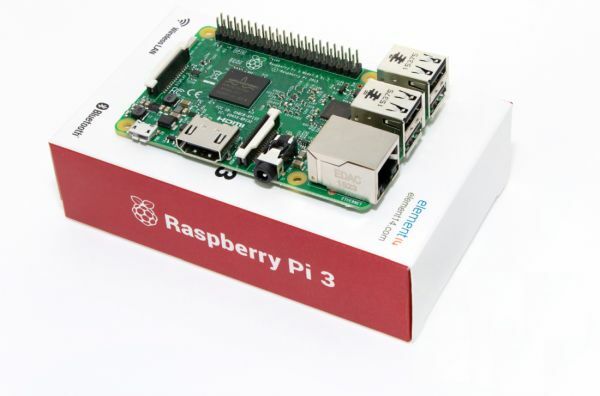 Locate the address bar at the top and type intype http://your_Raspberry_Pi_IP_address:1880 (in our case that is http://192.168.0.121:1880) then press Enter button. 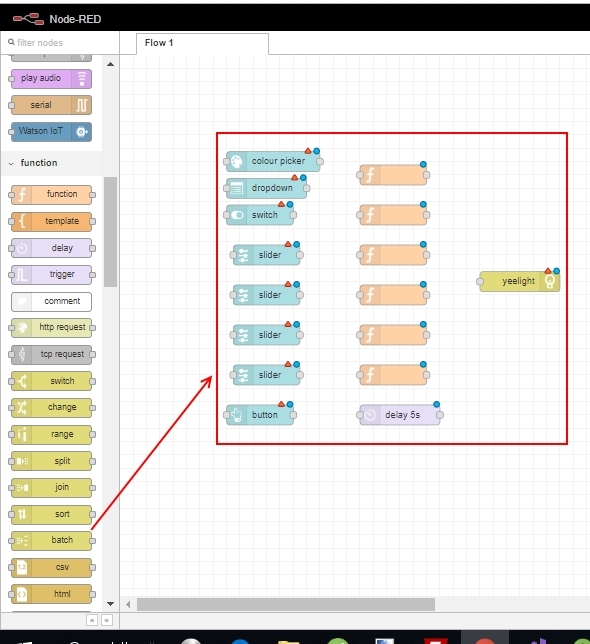 This will display the Node-RED. Make sure you have these nodes. If you don’t have these nodes check that you have followed the steps above. 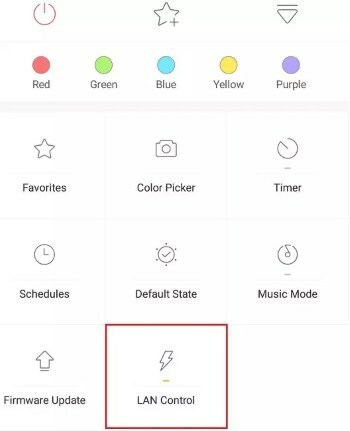 Select Color Picker x1, Slider x4, Dropdown x1, Button x1, Switch x1 from Dashboard; Function x6, delay x1 from Function, yeelight x 1 from lights. 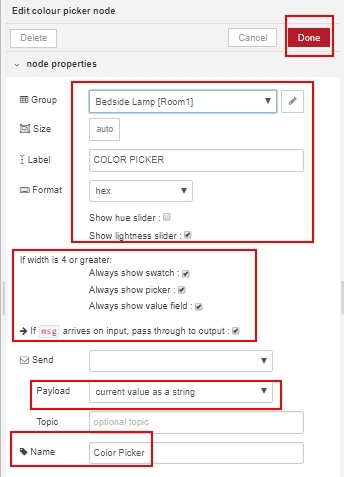 Make a tab Room 1, Bedside Lamp group in Room1. 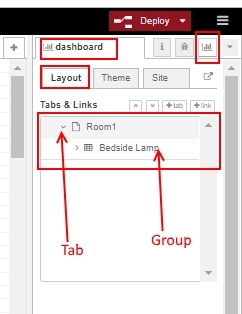 How to create tab and group you can find here. 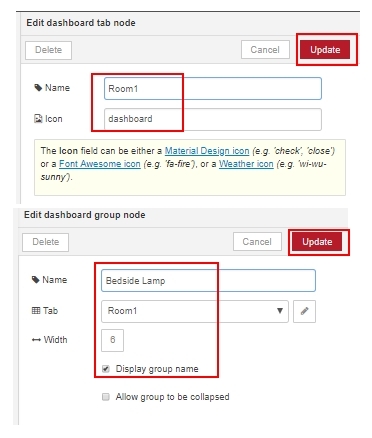 See the settings for tab and group below. Let's modify nodes now. 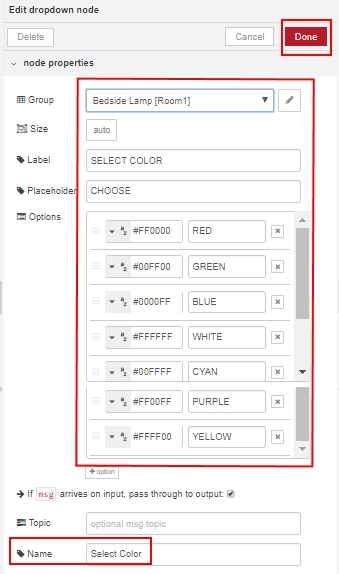 See the Color picker settings below. 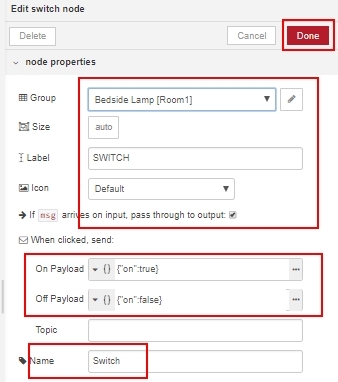 Connect all nodes. See the picture below. As you can see this flow is very complex. 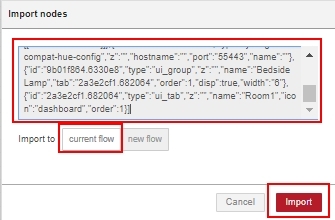 We recommend importing the flow (see the section below how to do it) instead of make it from the begining. 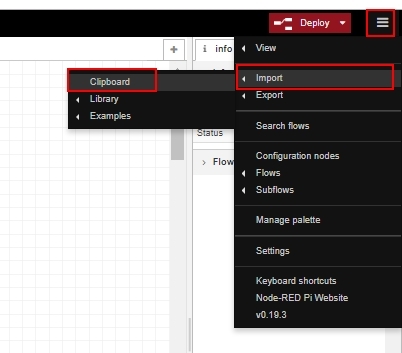 To import the Node-RED flow provided click here to download and view the file. 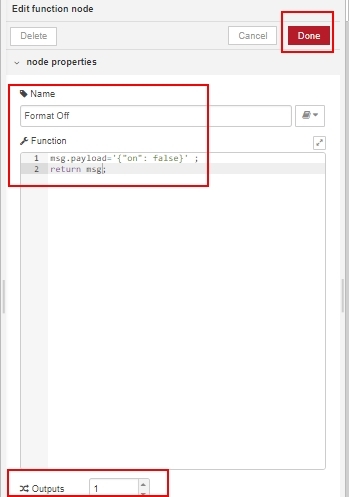 Copy the code provided in file. 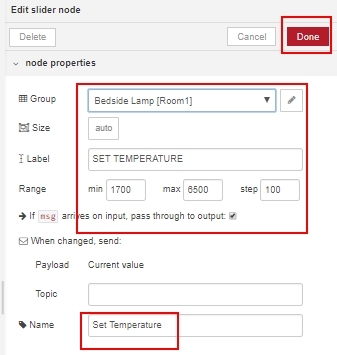 At the top right corner of Node-RED select the menu, and go to Import -> Clipboard. 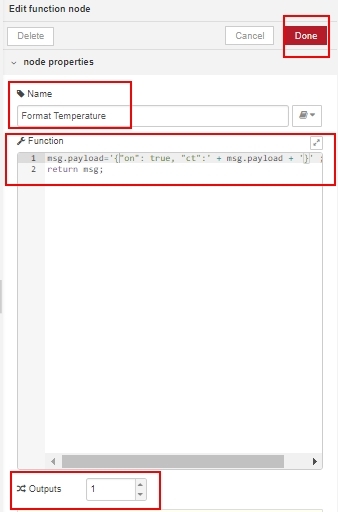 Paste the code and click on Import button. 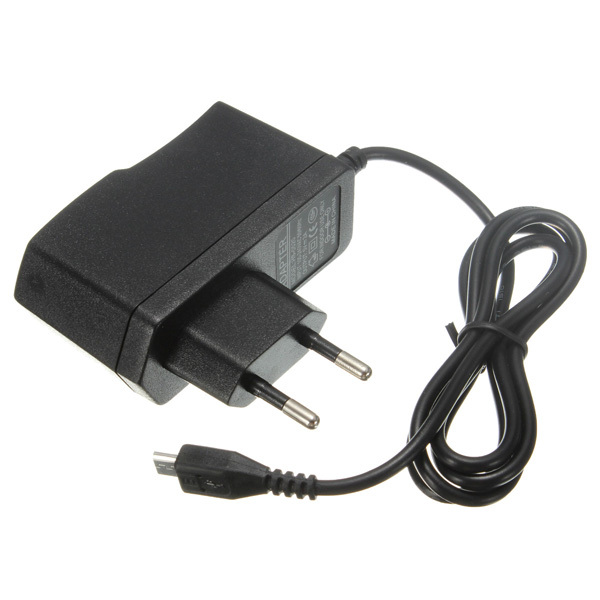 You can use the an IP scanners like Advanced IP Scanner or Angry IP Scanner to scan for your Bedside Lamp IP address. 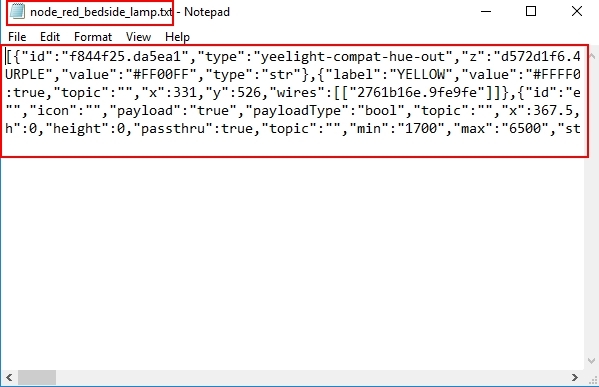 In our case the Bedside Lamp’s IP address is 192.168.0.124. 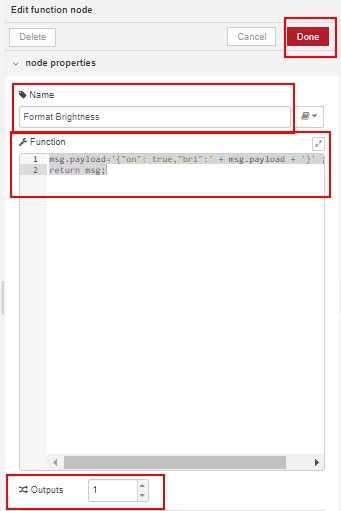 Make a new config node. 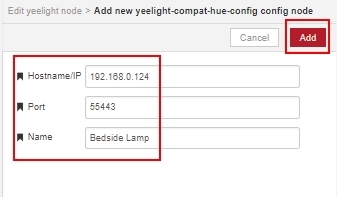 Press on pen sign and enter your Yeelight bulb IP address (we have 192.168.0.124) with default port 55443. 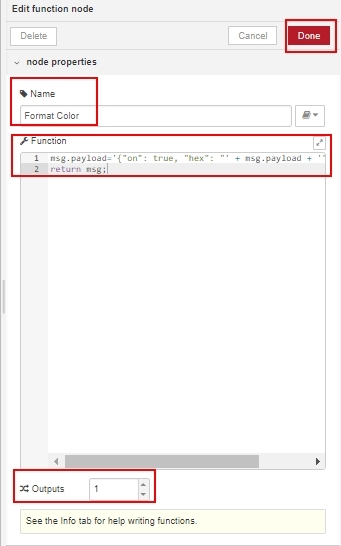 Click on Add button and then click on Done button. 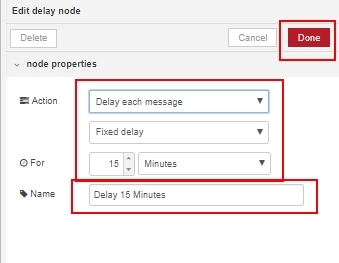 After making all changes click on Deploy button to save all the changes. 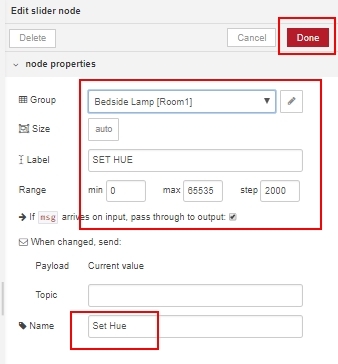 Your Node-RED application is ready. 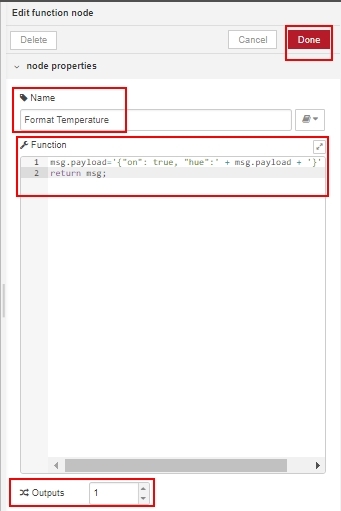 To access Node-RED UI and see how your application looks open any web browser in your local network and type: http://Your_RPi_IP_address:1880/ui (in our case it is http://192.168.0.121:1880/ui). 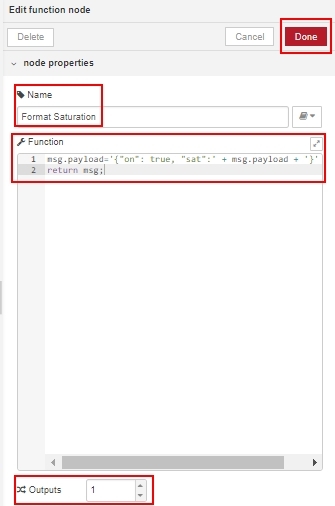 Your application should look as example below. 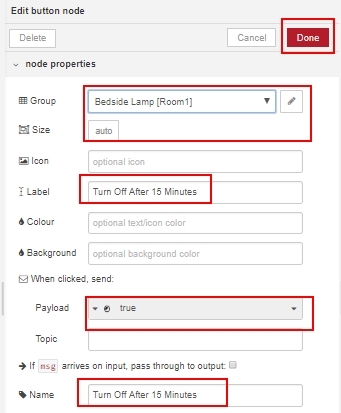 You can control your Xiaomi Mijia Bedside Lamp with Node-RED now. 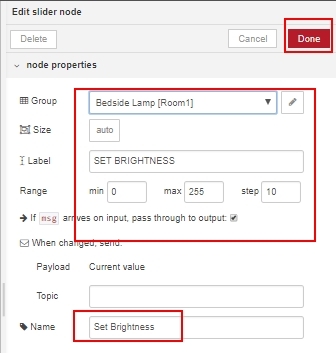 We have learnt how to integrate Xiaomi Mijia Bedside Lamp with Node-RED on Raspberry PI 3 model B board.